Google may get all of the press when it comes to autonomous cars, but global auto manufacturers are designing a new breed of autonomous vehicles that not only drive themselves, but also offer luxury and comfort for passengers. 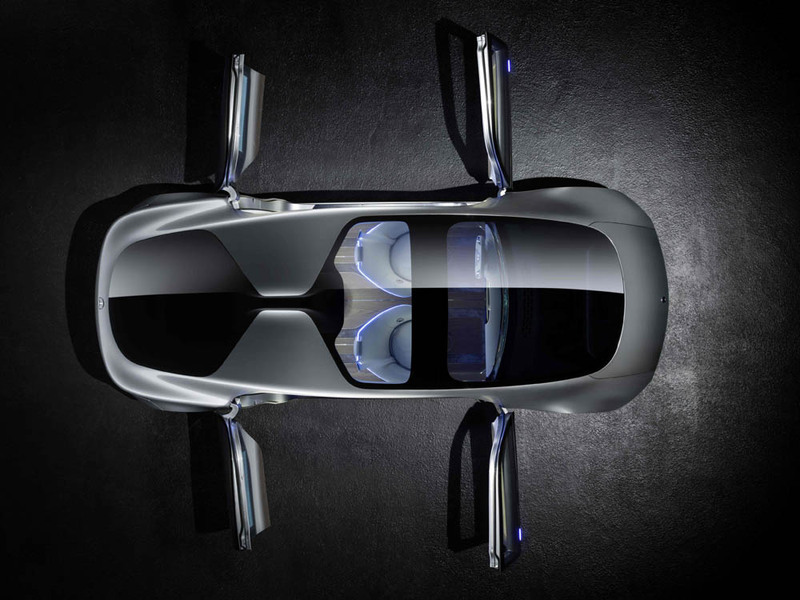 Take the new Mercedes-Benz research vehicle F 015 Luxury in Motion, for example. 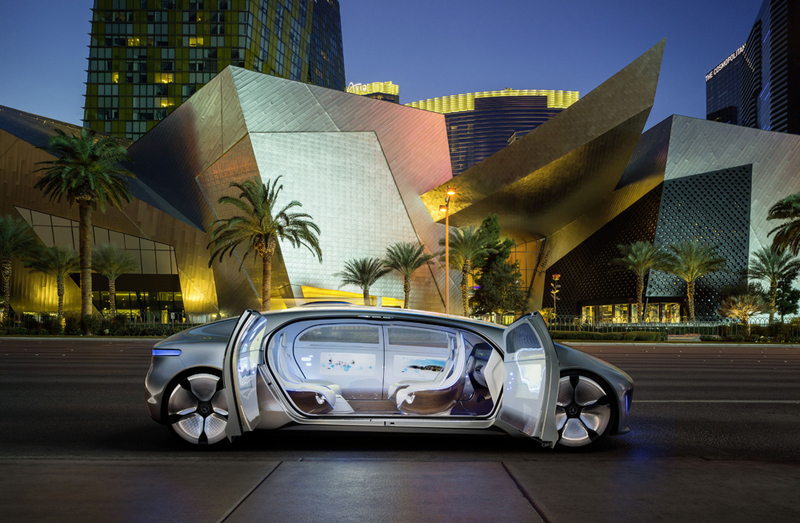 The cutting edge vehicle, that had its world premiere at the Consumer Electronics Show, provides a concrete example of the future of autonomous vehicles. 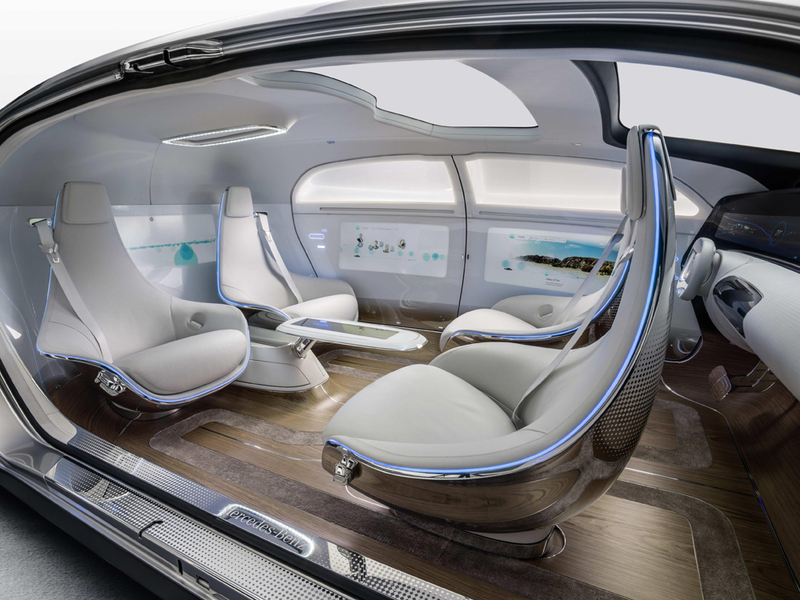 With this self-driving luxury sedan, Mercedes-Benz illustrates how the car is growing beyond its role as a mere means of transport and will ultimately become a private retreat. In the interior of the F 015 Luxury in Motion, the designers have created a lounge-like space characterized by elegance, quality and lightness. The pivotal feature of the innovative interior concept is the variable seating system, with four rotating lounge chairs that allow a face-to-face seat configuration. In order to make getting in and out of the car easier, the electrically powered seats also swing outwards by 30 degrees as soon as the doors are opened. If necessary, the driver and front-seat passenger can also turn their eyes and attention towards the front – a prerequisite for manual driving. To this end the steering wheel extends automatically from the dashboard. The leather-covered cushions of the lounge chairs are set in curved mounts of highly-polished aluminium. Each seating mount has a contrasting light band of blue LED lights and can also be manually swivelled. Sensual, flowing transitions and warm, organic materials such as open-pore walnut wood shaped into a three-dimensional veneer, and extremely soft ice white Nappa leather contrast with clearly-defined metal and glass surfaces with a cool and technical feel. One key aspect of the research vehicle is the continuous exchange of information between vehicle, passengers, and the outside world. This is facilitated by six display screens harmoniously integrated into the instrument panel and the rear and side panels, which turn the interior of the F 015 Luxury in Motion into a digital arena. Passengers can interact intuitively with the connected vehicle through gestures, eye-tracking, or by touching the high-resolution screens. Sensors recognize the passengers’ hands and offer them user interfaces within convenient reach that present appropriate operating options for each particular situation. Particle streams on the displays visualize the vehicle’s movement. In addition to innovative interior design, the F 015 Luxury in Motion has a futuristic monolithic exterior. The low-slung front end, smooth and streamlined roof line, flat front windscreen, and road-hugging rear end give the F 015 Luxury in Motion an extended and decidedly dynamic silhouette. The F 015 Luxury in Motion’s unusually large wheelbase in combination with its short overhangs clearly show that the design focus was on providing the maximum possible space for the passengers. New materials and structures were used to develop the highly efficient “Smart Body Structure (SBS)” of the F 015. By cleverly combining carbon-fiber-reinforced plastic (CFRP), aluminum, and high-strength steels, the engineering experts were able to make the body 40 percent lighter compared with today’s production vehicles. Another key element of the body design concept is the innovative saloon-door-style door system featuring rear-hinged rear doors. The front and rear doors can be opened and closed independently of one another. With an opening angle of 90 degrees for all doors, the spacious interior can be easily and comfortably accessed on both sides. The doors themselves have a crucial role to play in the vehicle’s passive safety concept. The crash-responsive beltlines underneath the side windows are vital. The PRE-SAFE® Structure, previously unveiled on the ESF 2009 Experimental Safety Vehicle and now further enhanced, offers maximum safety while taking up minimum space. In a side-on collision, these bodywork elements “inflate” in an instant, just like an airbag, allowing them to absorb as much impact energy as possible. Designed from the outset as an autonomous car, the Mercedes-Benz F 015 Luxury in Motion is creating new possibilities in vehicle design, connectivity, and innovation.